Find Your Decorating Style in 5 Easy Steps. Interior Design Made Simple! FIND YOUR DECORATING STYLE – 5 STEPS THAT MAKE INTERIOR DESIGN CHOICES EASIER! 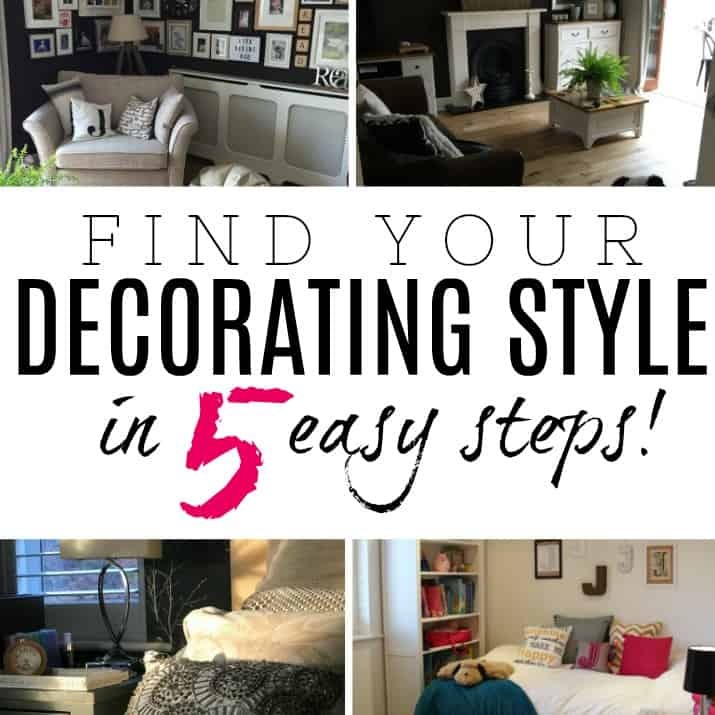 If you struggle to find your decorating style then you will want to follow these 5 steps. Using this system will make your interior design choices much easier in the future, as knowing what style of home you love will help you to make less mistakes with what you buy, and overall help you feel at home in your space. What could be better than that!! If someone asked you what the decorating style was in your home, could you answer them? Finding your own home style can be such an amazing feeling. It really can totally transform how you feel about your home, and make you fall in love with it. It also makes your home very unique to you, and a place you can be proud of that reflects who you are. As such, I thought I’d give you the 5 steps I use to create my own home style, and also take you down the path of what my own style is and how it’s come to be, in the hope that it inspires you to give it some thought for your own home. This may be the step you’re missing to truly fall in love with your home right now – so let’s go shall we! Every one of us is as unique as our finger prints, and even if we bought exactly the same items for our home from a shop, the way we would place them in our homes would create a totally different look. It’s the same as if I were to wear the same pair of jeans as you – no-one would probably tell because we would look different because of our own style. You see, it’s all about how you dress your home that creates your own unique style – and that’s what I wanted to start looking at today. You don’t have to look through lots of shops to find things that work, because you get to know the shops that have the right style for you in them. You feel comfortable and relaxed in your home because it reflects you. You stop buying things to try and make the house feel right – because it already does! Before we get to the steps to take to discover YOUR style, I want to tell you a little about my own – in the hopes that it inspires you a little! You see, I now have a very clear idea of the style that we love in our home, and have found a way to blend both my hubby and my tastes together (mostly mine, admittedly! ), so that we have a clear idea of what works and what doesn’t. Our home is a mix of styles. We use classics, vintage and industrial all packaged up in a neutral colour scheme. If we do use any colour, then it tends to be bolder jewel like colours that are deep and rich. I love to use items that are older looking, and mix in with newer pieces, and am forever experimenting with what goes well and what doesn’t – it’s a hobby of mine, and one that evolves as I change and my homes needs change. I have a mental list of things I usually try and stick to when purchasing anything for my home – some are contradictory (lighter furniture vs. dark wood) but I know which rooms to use which so that the look works well throughout the house and has some interest as no room is the same. It’s the overall feel that all these things create together that makes my style. This mix makes our home unique to us, and creates our own style – and we love it! TIP – I love that our style runs throughout each room, and that’s something that you’ll hopefully find as well. We can mix and match the furniture and accessories from room to room to get some changes without spending anything – a HUGE bonus! 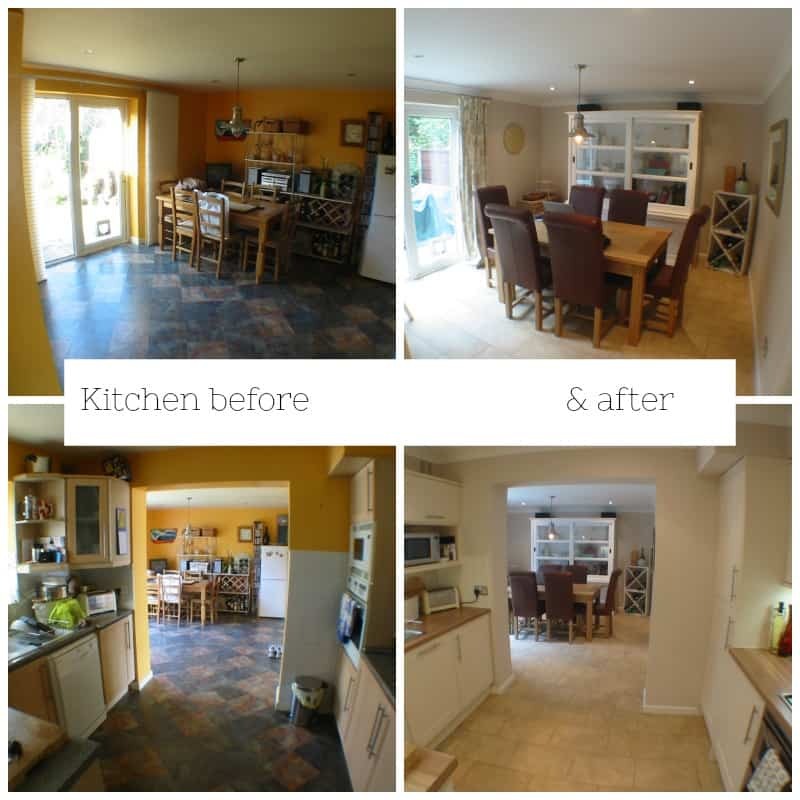 Of course, we’re constantly changing, and therefore so are our tastes, but I have found that once you get to grips with the overall look and feel that works for you and your home, these changes become less and less – and that means less wasted money and time changing things constantly. I couldn’t resist taking you on a quick journey of my home decor style and how it evolved – so you know that it took a while to get to where I am now (I am a child of the 70’s/80’s so you can only imagine where it all began…). Let’s paint a picture for you…. My first proper bedroom that I remember was decorated in the 1980’s grey and pink. It was the first true taste of being able to put my mark on something – and I was hooked! When I started to get more of my own identity, I was lucky enough for my parents to let me decorate my room myself, so as a teenager I saved up my pocket money for the job. I ended up buying some very strange deep pinky/orangey coloured paint for the walls (sophisticated! ), and some cream curtains. I thought it was amazing – you can only imagine! Next up – I left home and went to Uni where we couldn’t really do a lot with the rooms because we rented. As such I got good at using my own touches to make it feel like home in the things I could change such as bedding and accessories. This is when I started to love the colour blue – and once again I saw myself overloading on a specific colour.. 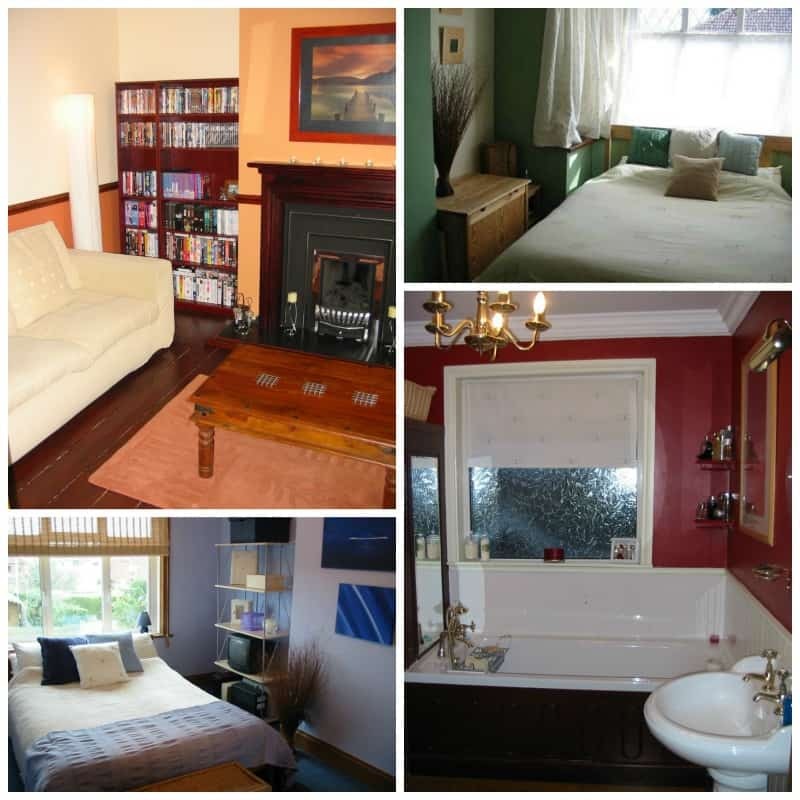 When I graduated I got a job and rented a home with a friend where we managed to persuade the owner to let us decorate just a little. The blue came with me and the bathroom got a makeover! I think I was always destined to change rooms and make a home – I was doing it all through my life…. When I met my now hubby, we moved in together and very weirdly ended up with a very grand first home. It was a normal 1930’s semi in the south of England – but the previous owners had fancy tastes so we inherited a gold chandelier in the bathroom, very floral wallpaper everywhere, and swags and tails in the curtains. Would you believe it – it even had a pool (we never swam in it, because we couldn’t afford to clean and maintain it, but it had one!). We set about making everything a lot more simple and started to use blocks of colour in each room, deeper ones now – and I created some cheap and cheerful artwork on canvas to match each room as we couldn’t afford much at the time. Every room was a different colour, and things were done inexpensively – including taking the carpets up and staining the floorboards in the lounge. I remember we inherited a massive fireplace in the lounge that was far too large for the room – so we sold it – never did we think that it would be a very expensive fireplace and so we were shocked to find it was a really sought after type and we ended up making a little money to put into the rest of the redecoration. In that house I could start to stretch my design muscles more. I painted the kitchen cabinets to refresh them, and we changed as much as we could in the house. It was when living in this house that I started to think about a change of career from IT to Interior Design as a career, and began studying it in my spare time. Our first home was sold when we moved to the north of England, and we were lucky enough to get full asking price to the first people through the door (they even paid for the canvases I created – bonus!). We then bought a house that needed a bit of TLC (we redecorated throughout and replaced the bathroom and kitchen), and spent a few years here having our daughter and adjusting to me working from home etc… This was fondly called my Laura Ashley phase – as I loved the patterns they had. We started to love leather sofas, word art, leather furniture, and less colour (more neutral) – and the walls were pale as the light in the rooms and the height of the walls were less. Because it’s again a 1930’s style (we like this style! 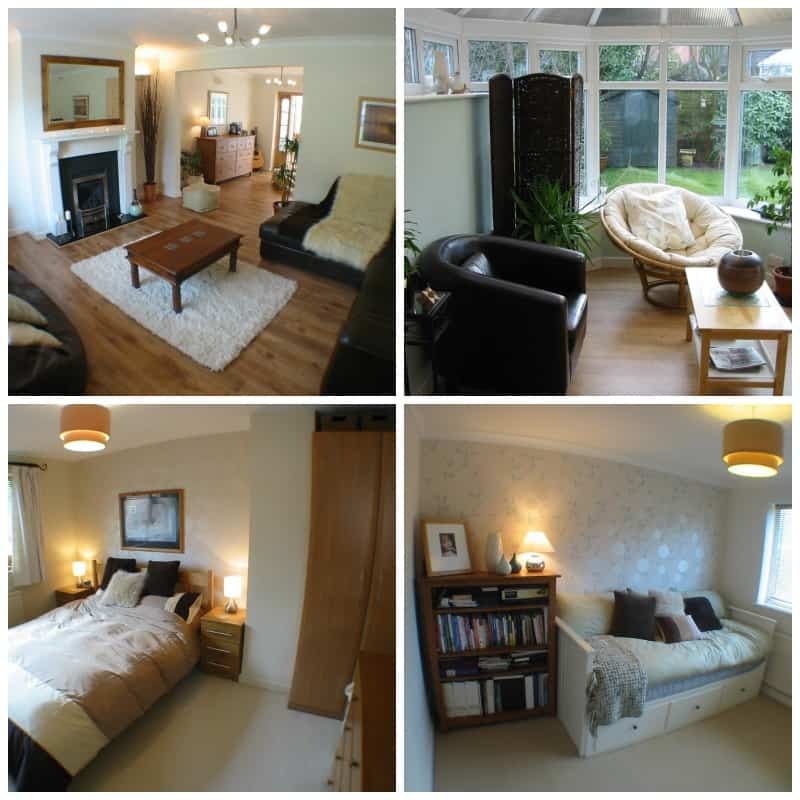 ), it has high ceilings and loads of light, and so can take deep wall colours. We’ve moved on to using shutters for the windows, and all the other items I listed at the start of this post about my home style. There are no plans to move now – but I can say that this house is a culmination of everything we have learned over the years about what we like and what we don’t like. We were able to know what styles we wanted, the layout that we work best with, and so much more. Can you see how it’s evolved? We had to try lots of things to get here, but we’ve done it, and understanding our style has been the key to making a home that we love…. Enough about me – hopefully telling you my story has helped you see that style develops over the years and as your tastes change – and maybe it’s started you thinking about your own style a little, so you can work out what you love and what you don’t. We need to look at the starting point, and that’s your home right now. Go round your house and take photos. Simply start to make a note of what items you love most, what works and what you are not as happy with. This is crucial – because again it’s showing you in picture form what you love – all in one place. For more help on this – I wrote a post a while ago on places to get some inspiration – just CLICK HERE to read that as well, and I’ll see you back here in a minute….. Pick a way that you’d like to gather your ideas together (my favourite is Pinterest because it’s so easy to see everything, and chop and change when I want to). 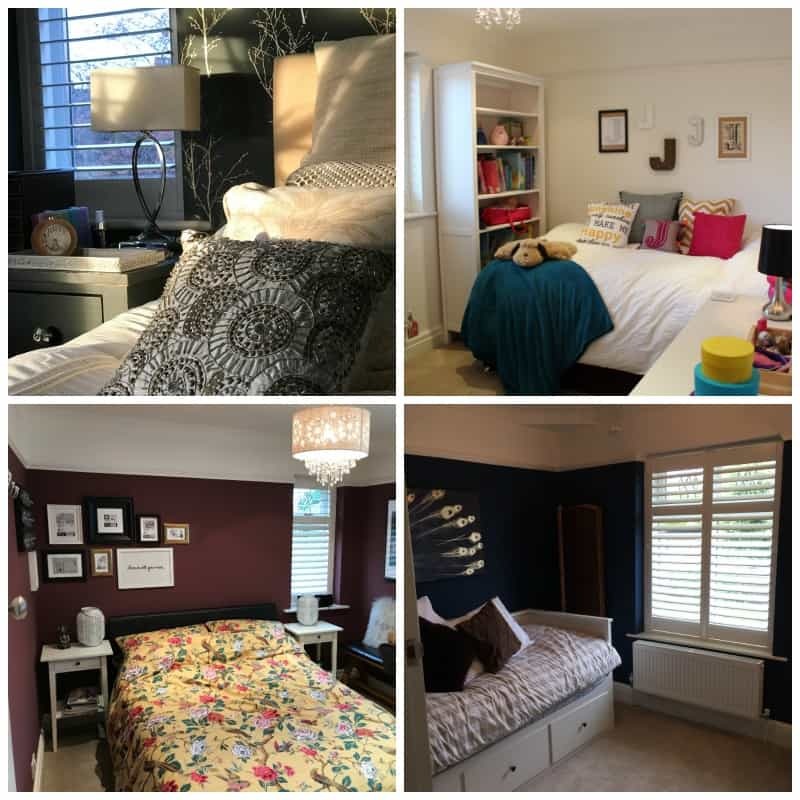 Just as I have written a list in this post for my own decorating style components – you should now have a clearer picture of the main themes that are running through what you’ve seen in your home and what you’ve put together in your inspiration file/board. THIS IS YOUR UNIQUE STYLE – WELL DONE! Your home now has to start reflecting your decorating style. This may take years to completely finish (I would say it never finishes because there are always tweaks to do and your tastes may change slightly over time too..) – and I strongly suggest that it does, because it will all come together more slowly and you will feel really confident that you’re getting exactly where you want to get to. The starting point is to look around your home and declutter the things that aren’t adding to your style at all. This may be an instant declutter, or a plan to change certain items as and when you can afford to / have the time to do so. BUT NOW YOU HAVE A PLAN! It goes without saying almost, but when you’re buying anything for your home in the future, think back to your decorating style. Does whatever you are looking to buy match with this style? If it’s a yes, then great – and if it’s a no, chances are you’ll get it home and be disappointed. Even though you love something, if it doesn’t fit with your style then you probably won’t be happy with it once it’s in your home – and this thought process will stop you from making expensive mistakes, and keep you on track. This process will take some time to do, and so it should – because you’re unique and your style will be unique to you. It will be a mix of styles more than likely – and that’s what makes it interesting! It can be really fun as no doubt you’ll discover some things you didn’t realise (who knew that I’d say that black was the key accent colour in my own home lol! ), and you’ll feel SO much more confident with your choices in the future. Good luck, and let me know how you go! P.S. 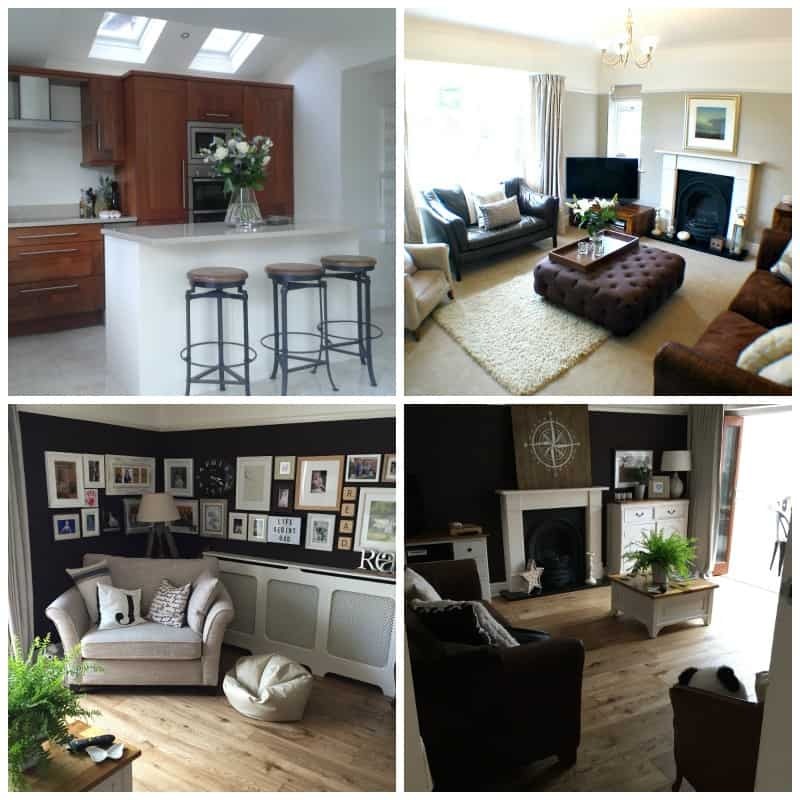 Don’t forget – if you want to start finding inspiration to find your decorating style then you will want to read THIS POST next as it gives you lots of different ideas for where to look. Previous Post: « DON’T KNOW WHAT TO BLOG ABOUT? 101 AMAZING BLOG TOPIC IDEAS TO HELP! I loved this blog and it has so many similarities to my own story. My tastes have changed a lot throughout the years but I have always had an edginess and been bold with my choices. I still find everyone’s styles interesting even when it is far away from mine. This is why I started cut-the-clutter too as I believe the two things go hand in hand.